We have been looking forward to visiting Atlanta, Georgia for some time. We love marine life and are anxious to visit the Georgia Aquarium - currently the world’s largest aquarium. Opened in 2005, the aquarium houses 120,000 animals, representing 500 species, in 8.5 million US gallons (32,000 m3) of marine and fresh water. We are especially excited to see the whale sharks on display. 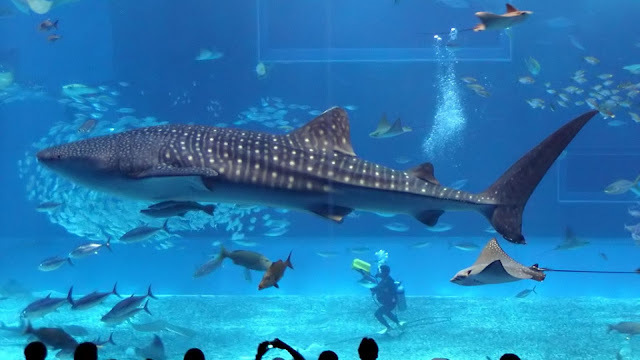 They are the largest fish on earth, measuring up to 40 feet long. 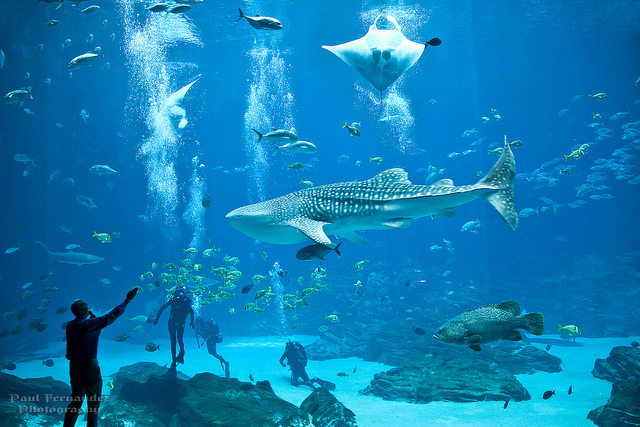 The Georgia Aquarium is the only aquarium outside of Asia that houses whale sharks. 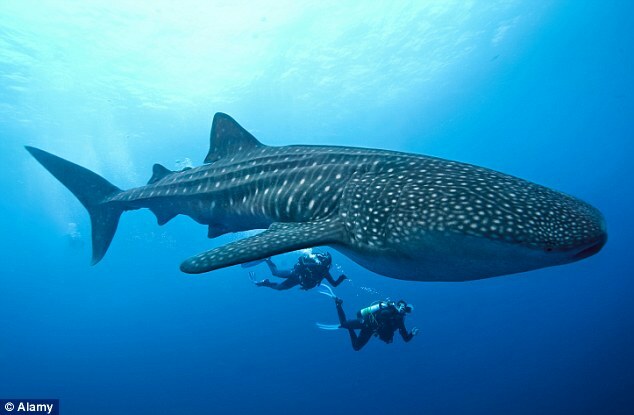 It also offers the only opportunity in the world where you can SCUBA dive with these gentle giants (which I intend on doing!). Of course there are plenty of other things to do and see in Atlanta, but we are definitely most excited to see the aquarium. How are we going to get to Atlanta, Georgia and the Georgia Aquarium for free? We have plenty of Chase Ultimate Rewards points and American Airlines AAdvantage miles, and wanted to find the "cheapest" point value flights. I checked AA.com, Southwest.com (UR transfer partner), United.com (UR transfer partner) and determined that Southwest airlines would give us the best value. We enjoy the fact that the first 2 bags checked in are free with Southwest. If looking to book a flight with cash, I recommend checking out kayak.com or expedia.com for discount airfare tickets. 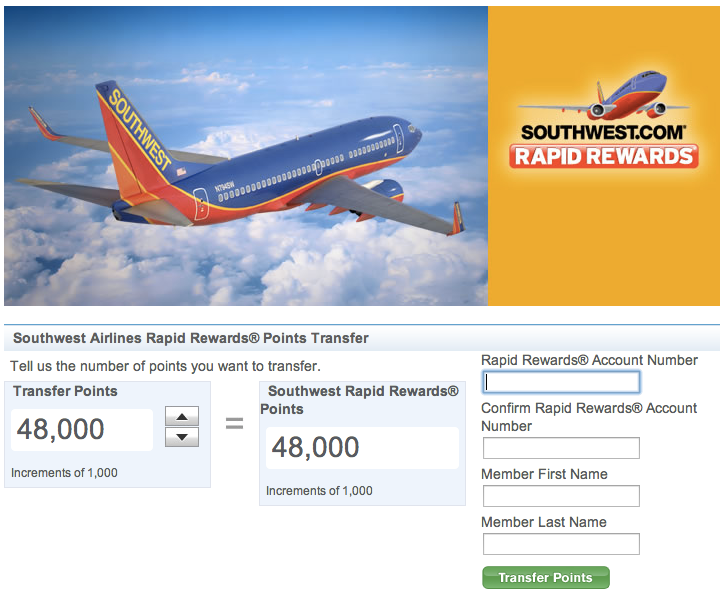 When logging into my Southwest account, I noticed that I only had 5,368 Rapid Rewards points. For the flights we wanted to book, we would need 52,438 Rapid Rewards points. 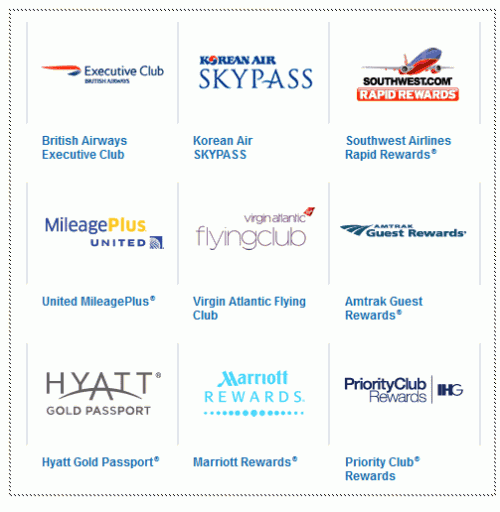 I then went to www.ultimaterewards.com to transfer 48,000 points from my Palladium card to my Southwest account to get enough points for our free trip. 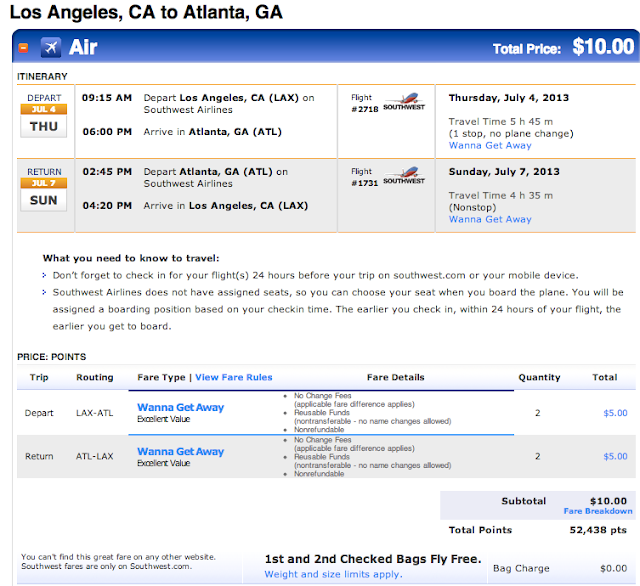 The points transfer took place instantly and I soon had enough Southwest points to book our free roundtrip flights. We paid with some of our Chase Ultimate Rewards points to get 2 round trip tickets for 52,438 Rapid Rewards points and $10 cash total. If we were to book a Southwest Flight with cash, the round trip flights for both of us would have cost a whopping $925.40! In this case, 1 Chase UR point = 1.76 cents. (925.40 / 52,438 = 0.0176). This emphasizes the value of an Ultimate Reward point. Would you rather have free flights worth $925.40? Or would you rather convert your 52,438 UR points into $524.38? If you don't have any immediate travel plans, and you need some spending cash, you can also transfer Ultimate Rewards points directly into cash with 1 UR point = 1 cent. For hotel stay in Atlanta, we wanted to use our Club Carlson Gold points. I have around 160,000 Club Carlson Gold points and wanted to use up some of them for this trip. I like The Country Inn & Suites hotels because they are very basic and inexpensive hotels that offer extra amenities including: free high speed internet, free daily hot breakfast with waffles, omelets, breakfast burritos, and more. Plus, you can earn 2,000 bonus Gold points when booking your reservation online. In this calculation, 1 Club Carlson Gold point = 0.0048 cents. 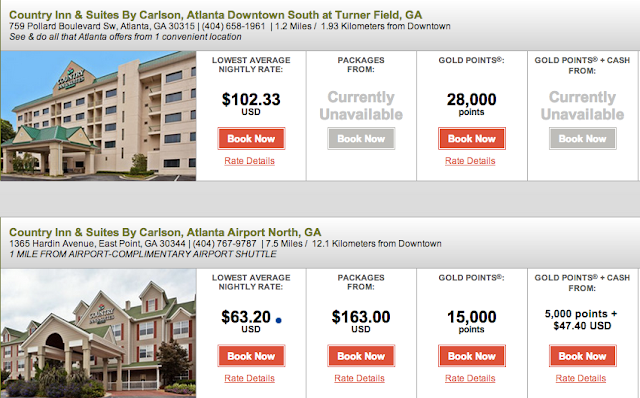 Club Carlson Gold points are definitely not as valuable as a Chase UR point, but still a useful form of currency. 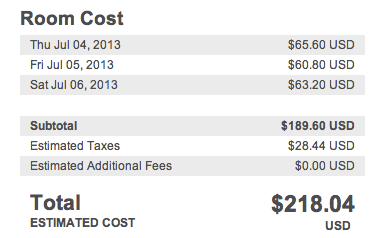 Club Carlson award stays are completely free, no fees or taxes whatsoever. Club Carlson hotels also have a great cancellation policy - no fees or penalties if reservation is cancelled before the day of our stay, with full refund of points. For those interested in earning Club Carlson points very quickly, they do offer 2 types of personal credit cards and 1 business credit card. You can see more information here. This is how I just scored us 4 days and 3 nights in Atlanta, Georgia with the roundtrip flights and hotel stays paid for with points. Total value = $1,143.44. 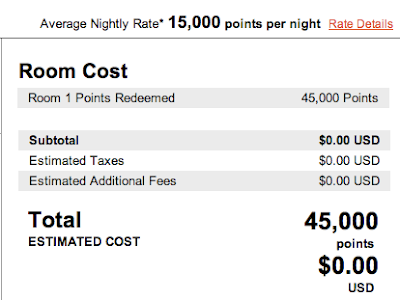 Total points spend: 52,438 Chase Ultimate Rewards points and 45,000 Club Carlson Gold points. July 4th can't come soon enough for us. I’ll be writing a trip report soon after we return from our mini vacation.